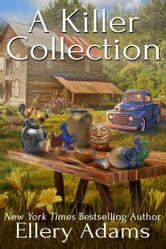 The first book in the terrific Antiques & Collectibles series by New York Times bestselling author Ellery Adams. In the world of antiques and collectibles, it helps to have a sharp eye for quality, a good ear for gossip, and a nose for murder. 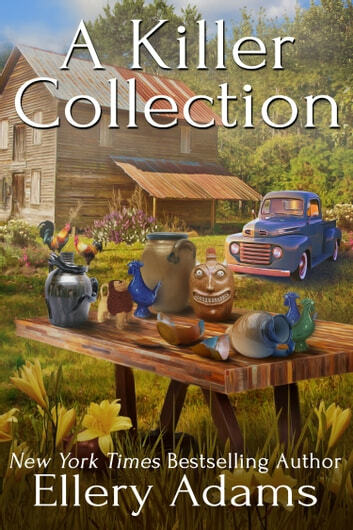 Molly Appleby is a young writer for Collector’s Weekly, and when the attractive reporter isn’t covering auctions and antique shows all over the South, she’s trying to get her new relationship with a coworker off the ground. When her latest assignment takes her to North Carolina pottery country to cover an exclusive kiln opening, she’s certain the show promises surprising offerings and rare finds. What she doesn’t expect to find is a dead body. George-Bradley Staunton is known throughout the antiques world as a very wealthy and very ruthless collector, and when he drops dead just after the opening, there are all too few mourners and a seemingly endless list of suspects. When the local police are stumped, Molly steps in to put her journalist’s nose to work sniffing out the culprit. But no sooner does she start collecting clues than another dead body falls into her lap. This is a fully revised edition of a book originally published under the name J. B. Stanley. New York Times bestselling author Ellery Adams grew up on a beach near the Long Island Sound. Having spent her adult life in a series of landlocked towns, she cherishes her memories of open water, violent storms, and the smell of the sea. Ms. Adams has held many jobs, including that of caterer, retail clerk, car salesperson, teacher, tutor, and tech writer, all the while penning poems, children's books, and novels. She now writes full-time from her home in Virginia. Good read want more from these characters. Lots of mystery and antique information and a frustrating bit of love interest. Great read and certainly unaware that pottery throwing and sales could be so violent!  Enjoyed the scenary descriptions! When an obnoxious collector dies at a kiln opening, art reporter Molly Appleby smells something fishy. The plot moves slowly, the characters were paper thin, and I hated the ending. Other then that, I loved it.